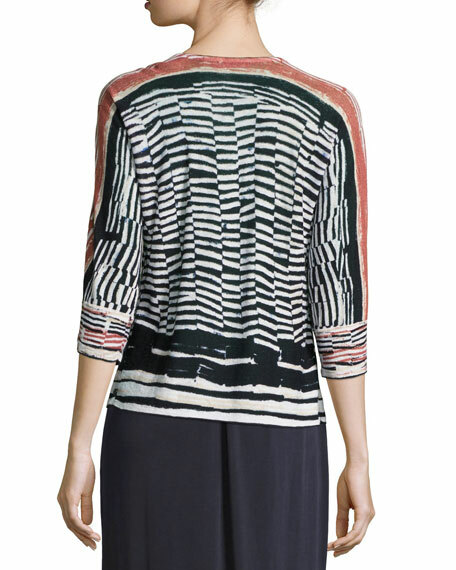 NIC+ZOE "Blue Nile" cardigan in brushstroke-striped, tissue-weight jersey. 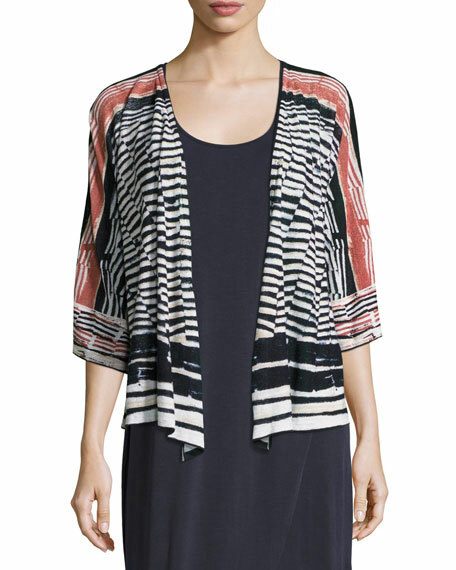 V neckline; open, draped front. 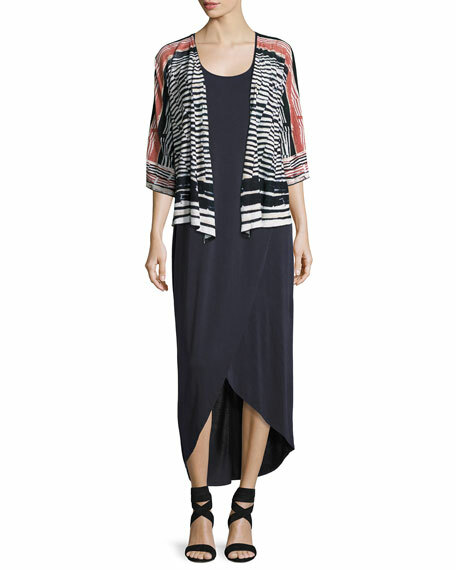 For in-store inquiries, use sku #2168586.